So far, 2017 has seen a lot of mega hacks and also witnessed the largest volume of overall successful attacks as well. The Internet is becoming a pretty scary place lately, where everyone from giant corporations to government systems has gotten hacked. To make sure this doesn’t happen to you, it’s important to know how encryption tools like zero-knowledge and AES can save your data from unwanted eyes. Securing your data using a good encryption system is absolutely necessary in an age where there seems to be no respect for privacy. Besides encrypting your data, you can also use a VPN to keep your Internet connection private. On top of that, online security can be further upgraded by implementing two-factor authentication and learning how to create strong passwords. At its most basic level, encryption is the act of scrambling digital information so that it cannot be accessed unless you have the key. Regular Internet traffic isn’t automatically secured, and anyone could listen in on a conversation, by simply looking through your data logs. Encryption changes all that, so only authorized parties can receive and see your communications. Retrieving your encrypted data is a simple matter of entering the correct password. It’s important to use a strong password plus two-factor authentication as well as a zero-knowledge service, combined with AES or Blowfish encryption, to truly secure your files. Zero-knowledge is your strongest line of defense when protecting personal or work related information. It guarantees the complete privacy of files or folders stored in a cloud storage or backup service, be it from the government or hosting service itself. A decryption key is required to unlock your data and since the company that receives or sends that data doesn’t need to verify its contents for security purposes, there are basically no weak spots. Zero-knowledge encryption eliminates the concept of trust from the business of security, which is how it should be in the first place. Unfortunately, many online cloud storage services have yet to offer this safety standard, but we’ve compiled a list of the best zero-knowledge cloud services that do offer this feature. AES stands for Advanced Encryption Standard and it’s the most commonly used encryption method in the world (used for encrypting emails as well as encrypting hard drives). All you need to do to decrypt an AES file is enter the correct password and you’re done. You should use it because it’s easy to work with, unbroken so far and works well when uploading images via the FTPS, HTTPS, SFTP, AS2, WebDAVS and OFTP protocols. AES also works well with large files including videos, software and audio content: though it is a bit slow when compared to Blowfish. You can use 128-bit, 192-bit or 256-bit key lengths (the longer the key length the better) to secure your data. Encrypting data with AES is easy enough, just visit http://aesencryption.net, upload your text, enter the password and choose which encryption key length you want; that’s all there is to it. We advise combine the above elements for extra security: you can double-secure a text file by encrypting it first with AES before sending it to a zero-knowledge cloud service. Doubling down on safety is always a good idea whenever possible. Blowfish isn’t as well known as AES, though it’s just as capable. Invented in 1993 by Bruce Schneier, Blowfish is secure, open source and works faster than AES when encrypting texts and images. Extensively tested since its inception, Blowfish works well on electronic devices with limited processing capacity, like smartphones, tablets and older CPUs. Made up of a 64-bit block size and a key length range of 32-bit all the way up to 448-bit. If you’re uploading documents to the cloud via a smartphone or tablet, or your PC is older, using Blowfish is an excellent idea. Since Blowfish is obscure compared to AES, fewer people are trying to break it at the moment. 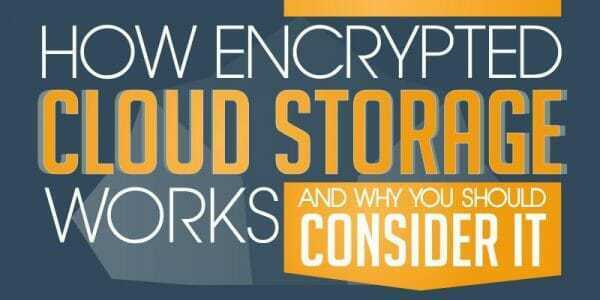 Despite its relative obscurity, Blowfish encryption is provided by certain secure cloud storage and backup services. You can also just download the open source code and use it as you please. Now let’s figure out how to maximize your online security when using cloud storage. First, start by using a zero-knowledge cloud service, then encrypt your data using AES with a 256-bit key, (use 128-bit or 192-bit if you’re pressed for time).You could also use Blowfish instead and crank up the key length to 448-bit. Then, store your AES/Blowfish encrypted data with any zero-knowledge cloud service of your choosing, and you’re home free. You can perform all the above mentioned steps in one go by using Sync.com because it’s an all-in-one service that is zero-knowledge, easy to use and has AES encryption. It comes with 5GB of free storage space, so you can try it out risk-free before deciding if it fits your needs. There are two other important factors to remember: a strong password and two-factor authentication. Choose a password that’s a mix of lower and upper case letters, symbols and numbers and also, ensure that it’s longer than eight characters. Don’t use something obvious like your wedding anniversary date or high school locker combination. The easiest thing to do is use a password generator and then store your passwords in the cloud so you don’t have to remember them. Password security is the first step to Internet security, so don’t join the ranks of people who fell victim to their own password fails and make them strong and long. As the Equifax hack has proven, leaving the security of your data in the hands of big corporations isn’t a good idea. To protect yourself, always encrypt your information before uploading it to the Internet. Keeping track of multiple complicated passwords is also a rather difficult task, but you can solve the problem by using a password storage service like LastPass or 1Password. However, there’s more to online security than just strong passwords, so we’ve created a comprehensive list of 99 free privacy tools that will help secure almost every imaginable facet involved with being online.